Seymour is a town located in western New Haven County, Connecticut, United States. 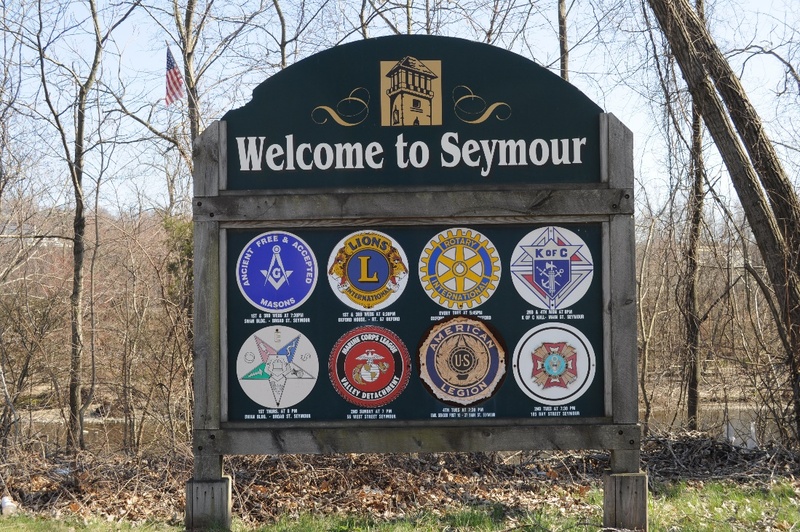 Seymour is surrounded by the communities of Ansonia and Derby to the southeast, Beacon Falls to the north, Woodbridge to the east, and Shelton and Oxford to the west. Seymour stepped into the 21st century with a confident attitude and a list of new accomplishments. One of America’s first industrial villages, this appealing town has gone through its share of ups and downs since incorporating in 1850. Categorized as a dying mill town in the 1980s, this diverse community successfully reversed that trend and became known as a prosperous and viable center for business and light industry, as well as a community that places importance on the education of its children and the quality of life of its residents. Downtown Seymour’s quaint brick sidewalk, old fashioned street lamps, Victorian buildings (known as “painted ladies”) and bustling stores, combine with two of the town’s many parks, a new shopping plaza, a new police station and middle school and a fish and kayak bypass on the Naugatuck River that will incorporate meandering walkways, to signal an aggressive revitalization of the downtown area. This progressive town, along with the five other Naugatuck Valley towns that comprise the Valley Chamber of Commerce, was chosen to receive the 2000 All-American Cities Award. This honor recognized the efforts the Valley has made in the areas of public safety, youth services, and economic development.